I'd like to invite everyone over to my new Tumblr, The Rock Opera Show, where I'll be posting some of my old material and a lot of new! It's always a niggle, isn't it, how to capitalize that title. Bat Out of Hell? Bat out of Hell? Bat Out Of Hell? 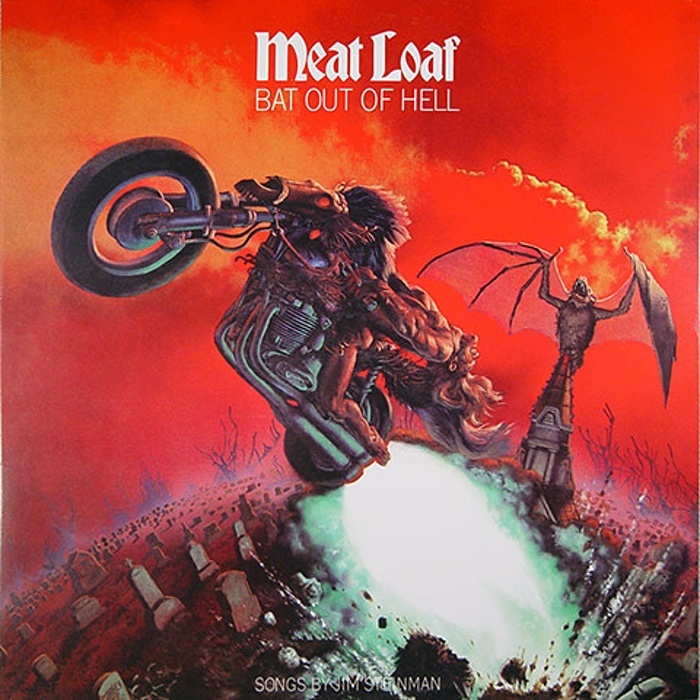 Anyway, best follow the cover art and just say BAT OUT OF HELL is 38 years old today. It's one of the most seminal albums of my life, and a big reason this blog exists. So happy Bats Day to Jim Steinman, Meat Loaf, and the gang that brought this amazing record to life. It's been far too long since I posted, but here's a great analysis of what makes "Over the Rainbow" such a classic. Leap, circle and yearn! Incredible to think they nearly cut this song from the film. 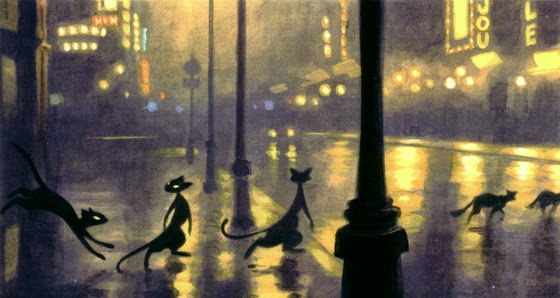 So, it's come to light that Steven Spielberg's short-lived Amblimation studio was developing an animated version of Andrew Lloyd-Webber's megamusical CATS. The project fizzled when the studio closed in 1997. Now, however, artist Luc Desmarchelier is sharing some of his concept art, and it looks gorgeous! 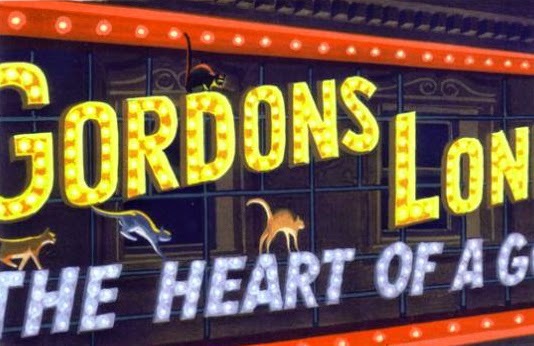 I loved this musical when I was a kid, and vividly remember going to see the bus & truck production of it around about 1984 or so. I also have a very fond memory of walking along the beach at night with the overture playing in my Walkman headset. 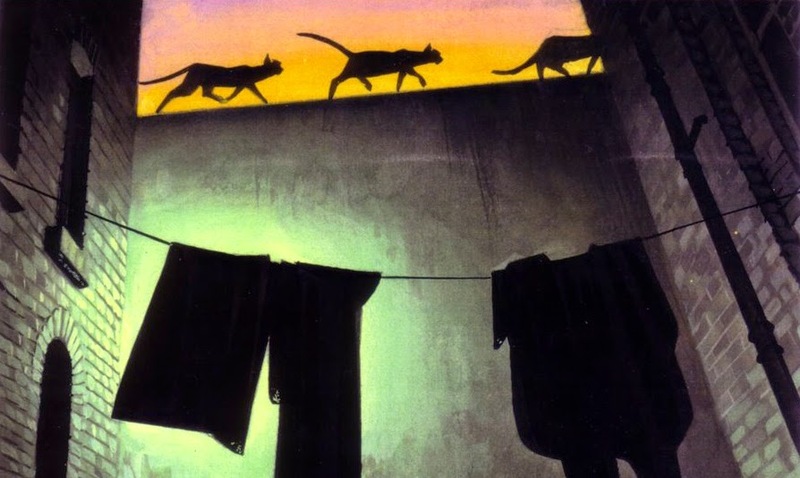 While my grown-up tastes now find it rather twee, I must say this looks like it would have been a lovely visual spectacle, and the only barely anthropomorphized cats would have given it a life all its own. I now quite regret that this never made it to the big screen. I really enjoyed this post over at Movie Morlocks which uses the book Roadshow! The Fall of Film Musicals in the 1960s as a jumping-off point for his meditation on how the movie musical evolved and mutated in the 1970s. It's a very entertaining and thought-provoking post, and of course covers a lot of the films that are near and dear to my heart. I Love My Wife - But Oh, You Kid! Here's a great long-form piece from Slate about the naughty old Tin Pan Alley tune, "I Love, I Love, I Love My Wife - But Oh, You Kid!" It traces the changing musical and moral tastes of turn-of-the-century America with great alacrity and a number of very fun musical clips. Keep an eye out for a bombshell young Angela Lansbury! I am pretty sure I remember Bugs Bunny saying "Oh, you kid" to Elmer or someone at some point. Not sure how I missed this, but it's hilarious. The wild world of off-beat, avant-garde and unexpected excursions in musical theatre - on stage, on film, or other media.